The stunning state of Sabah occupies a relatively small chunk of the world’s third largest island, yet what a colourful punch it packs: the treasure of turquoise-fringed desert islands with coral reefs swarming with marine biodiversity; trekkers' paradise Mount Kinabalu reaching 4095m into the clouds; and jungles around the Kinabatangan River pulsing with a menagerie of bug-eyed tarsiers, gibbons, pythons, clouded leopards and huge crocs. 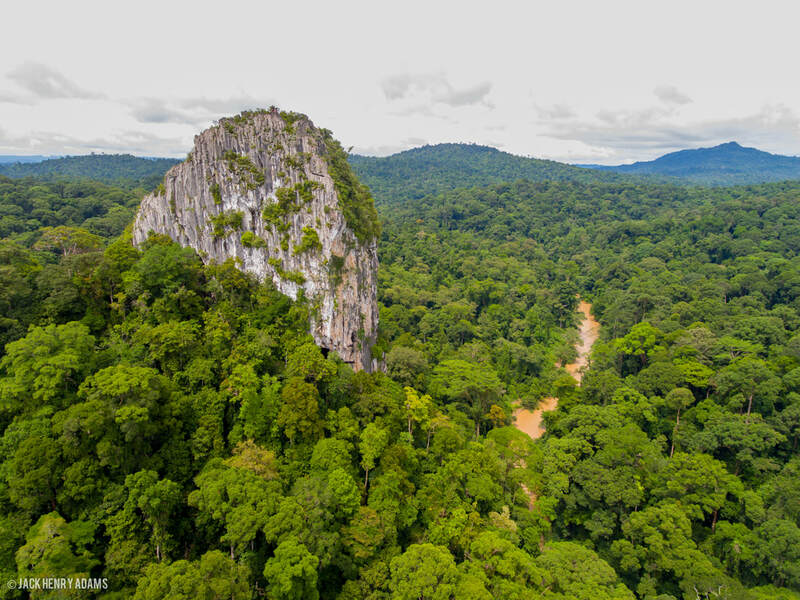 Around 55% of Sabah is forest and protected areas like the Maliau Basin and the Danum Valley Conservation Area are becoming more accessible than ever. Given its compact size, getting from one of Sabah’s highlights to the next is eminently doable, plus as a former British colony, English is commonly spoken here, making it extremely traveller friendly. Sabah is one of 13 member states of Malaysia. It is located on the northern portion of the island of Borneo, hence the previous moniker of “North Borneo”. It is the second largest state in the country after Sarawak, which it borders on its southwest. It also shares a border with the province of East Kalimantan of Indonesia in the south. Sabah is often referred to as "The land below the wind", because of its location just south of the typhoon-prone region around the Philippines. Kota Kinabalu (also know as KK) is the capital of the state of Sabah and for most visitors to the state this is where the journey will begin. Not exactly what people might think of when they imagine the tropical island of Borneo, KK boasts a wide range of hotels, resorts and backpackers lodges catering to all specific needs and budgets, a city well and truly keeping up with the 21st century. You will find glitzy malls filled with large cinema complexes & designer clothes outlets, modern paved highways packed full of traffic. KK as it is a great starting off point due to accessibility but also the best place to begin your hike up Mt Kinabalu, the reason why so many people visit Sabah and also the highlight of so many peoples visits here. There are also a number of day trips from the city to either the national park around Mt Kinabalu (Kinabalu park), to the islands just off the coast in the KK marine park or our multi day camping trip just outside Kinabalu park. Other fantastic day trips include White water rafting on either an exhilarating grade III-IV river (Padas) or a more leisurely float down the beautiful grade I-II Kiulu river with views of Mt Kinabalu in the distance, the Klias afternoon river cruise to search for Proboscis monkeys, Mahua waterfalls and rafflesia centre (largest flower in the world) or a visit to the Mari Mari cultural village to learn about the ancient tribes of Sabah and the way they used to live. Mount Kinabalu & Kinabalu park- Gunung Kinabalu, as it is known in Malay, is more than the highest thing on the world's third largest island. And it is more than scenery. Mt Kinabalu is ubiquitous in Sabah to the point of being inextricable. It graces the state's flag and is a constant presence at the edge of your eyes, catching the clouds and shading the valleys. It is only when you give the mountain your full attention that you realise how special this peak, the region's biggest tourist attraction, truly is. The 4095m peak of Mt Kinabalu may not be a Himalayan sky-poker, but Malaysia's first Unesco World Heritage Site is by no means an easy jaunt. The main trail up is essentially a very long walk up a very steep hill, past alpine jungle and sunlit moonscapes, with a little scrabbling thrown in for good measure. If you don't feel up to reaching the mountain top, its base has some worthy attractions, including a large network of nature trails. Accommodation- KK offers all kinds of accommodations from 5* Resorts to small cozy hotels, to cheap backpackers. 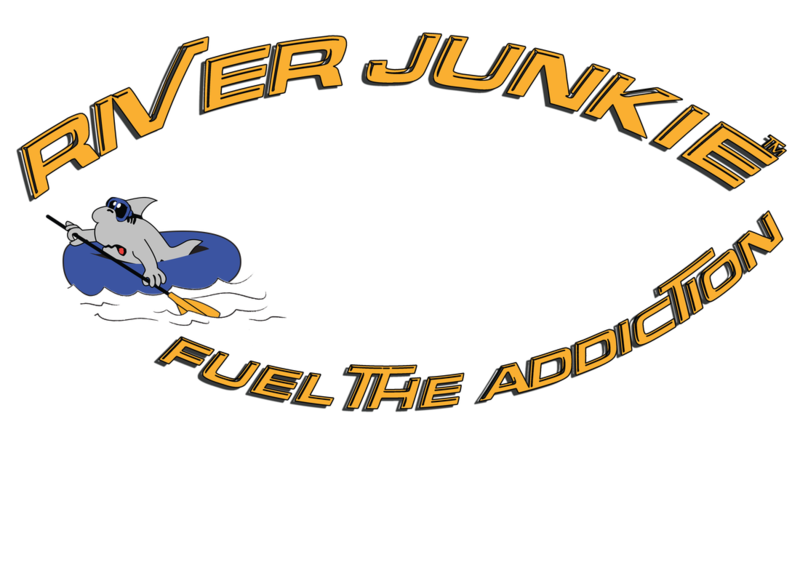 Whatever your budget you can find it here. Click the link. There are a variety of room types to choose from, but all have private bathrooms and come with A/C & fan, coffee and tea making facilities & include a light breakfast. For more details email no20lorongdewan@gmail.com​. Eastern Sabah takes nearly everything that is wonderful about the rest of Borneo and condenses it into a richly packed microcosm of the island consisting of equal parts adventure, wildlife, undersea exploration and flat-out fun. This is the place to come for spotting wildlife while in Sabah, comprised of many rural area's, wildlife sanctuaries, large forest reserves and beautiful islands with white sand beaches that will make you weep. The Kinabatangan river- Widely considered one of the best places to see true wildlife in South East Asia with some places offering a money back guarantee if you fail to see proboscis monkeys. At times you also get large herds of up to 100 pygmy elephants, regular orang-utan sightings, salt water crocodiles of up to 4meters, large packs of long tail and pig tailed macaques and birds galore! The Kinabatangan river is actually one of only two places in the world where you can see 11 different species on primate! Another great thing about the Kinabatangan river is its accessibility and how easy it is to link up with trips to the world famous Sepilok Orang-utan & sun bear sanctuaries and Gomantong caves. Gomantong caves- Imagine a massive crack in a mountain, a cathedral-like inner chamber shot with splinters of sunlight and swarming with cockroaches and scorpions, and you have the Gomantong Caves. Yes, the smell is disgusting thanks to the ubiquity of bat guano, but these caves are magnificent. The forested area around the caves conceal plenty of wildlife – travellers are regularly able to spot orangutans here. 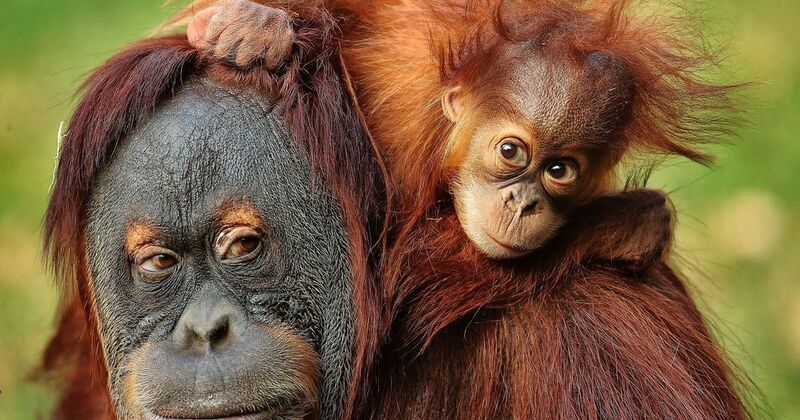 Sepilok- A visit to the world's most famous place to see orangutans in their natural habitat just became even more compelling thanks to the addition of an outdoor nursery for youngsters in the same complex, and the nearby, excellent Sun Bear Conservation Centre. For those who have time, the nearby Rainforest Discovery centre is also well worth a visit if only to go for a walk around their canopy walk. Turtle island parks- Just off the coast of Sandakan you have Turtle island parks Libaran and Selingan islands with turtle hatchlings almost guaranteed year round. Selingan island, generally referred to as Turtle island, is the more well known of these islands whereas Libaran is less well known but boasts daily turtle landing at certain times of the year and is friendlier on the wallet with their glamping (glamorous camping) set up. Heading further south from Sandakan and the Kinabatangan river you reach Lahad Datu and from there the large protected areas of Danum valley and Tabin wildlife reserve, these two offer some of your best pristine rainforest habitats on the island of Borneo! Danum valley - Flowing like a series of dark, mossy ripples over 440 sq km of central Sabah, the Danum Valley Conservation Area is like something out a children’s story book: the sheer spectrum of furry and scaled friends you find within its dipterocarp forest is mind-blowing: orangutan, tarsier, sambar deer, bearded pig, flying squirrel, king cobra, proboscis monkey, red-leaf monkey, gibbon and pygmy elephant (to name a few). Tabin Wildlife Reserve- About an hour's drive from Lahad Datu, this 1205-sq-km reserve consists mainly of lowland dipterocarp forest with mangrove areas – most of it is technically secondary forest, but that doesn't seem to trouble the wildlife or visitors. The stars here are the elephants and primates – gibbons, red-leaf monkeys and macaques, plus a lot of orangutans. Rescued orangutans from Sepilok are actually released here, so you've got a pretty good chance of spotting some. Birdlife is particularly abundant with a staggering 260 species recorded here including all eight of the hornbill family, from rhino through to helmeted. Tabin has a number of mud volcanoes and salt-licks where animals and birds gather for their precious minerals, and you can watch them, cameras poised, from viewing towers. By far the wildest and most untouched part of Sabah, this is for the true adventurers. Maliau Basin- Otherwise known as Sabah's lost world, was first discovered during the late 1940's when a British pilot narrowly missed a precipitous cliff while making a pass through a low-lying cloud. The bluff wrapped around to form a 25-kilometer-wide bowl, and the sunken jungle growing within the colossal basin would eventually come to be known as Sabah’s Lost World. 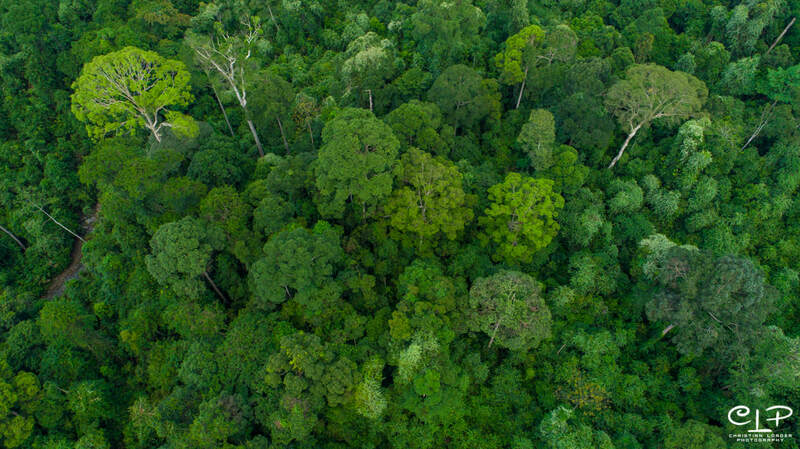 After several failed attempts, it wasn't until the 1980's that a team actually managed to penetrate the jungle into Maliau Basin and discovered a self-contained ecosystem that had never been inhabited by humankind, rich in biodiversity, with some of the tallest tropical tress in the world. Sapulot and Batu Punggul- Perhaps even more so than the Maliau Basin, this is as remote as it gets in Sabah. Not far from the Kalimantan border, Batu Punggul is a jungle-topped limestone outcrop riddled with caves, towering nearly 200m above Sungai Sapulot. This is deep in Murut country and the stone formation was one of several sites sacred to these people. Batu Punggul and the adjacent Batu Tinahas are traditionally believed to be longhouses that gradually transformed into stone. The view from the upper reaches of Batu Punggul may be the best in Sabah – in every direction is deep jungle, knifelike limestone outcrops and, if you are lucky, swinging orangutans. Few tourists visit this area but the ones that do will leave with a forever lasting impression of this amazing area. Mt Trus Madi- About 20km southeast of Tambunan town is the dramatic Mt Trus Madi, Sabah's second-highest peak, rising to 2642m, and one of the best places in Malaysia to watch the sunrise. The climb is more challenging than that of Mount Kinabalu but the reward of a sunrise with Mount Kinabalu in the distance is well worth it. Forested all the way from start to finish you also get the opportunity learn about Sabah's incredible flora and fauna (mainly birds, reptiles and amphibians).